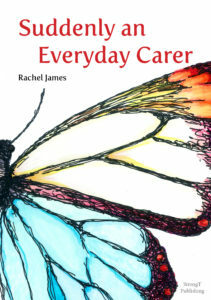 Everyday Caring – writing for carers. Suddenly an Everyday Carer – coping strategies for an unexpected role. Promoting resilience after trauma. Our longevity and strength is promoted by the support we receive. I have witnessed the resilience needed to rehabilitate home after trauma. 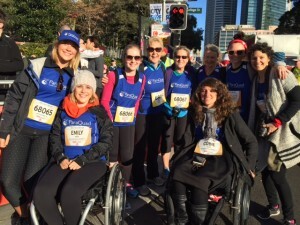 Read how I worked jointly with my daughter, Emily, to expedite her return to society as a wheelchair user, a differently-abled person with enormous potential seeking opportunity and choice. Follow Me @everydaycaring – add your email address to receive posts to your inbox, like and share to raise awareness and enlighten others to the issues of caregiving. Follow for new posts. Lets’ be friends! *Rachel does not represent or endorse the accuracy or reliability of any information, content or advertisements contained on, distributed through, or linked, downloaded or accessed from any of the services contained on this blog, nor the quality of any products, information or any other material displayed, purchased, or obtained by you as a result of an advertisement or any other information or offer in, or in connection, with the services herein. Thanks for your kind comments. I write to promote healthy carers and wheelchair users. Hi Rachel,I guess amongst the millions of questions that I could have, how do you start to figure out care. I guess I just really would like hear from someone that has unfortunately been through this. I appreciate any help or advise you would be willing to provide.